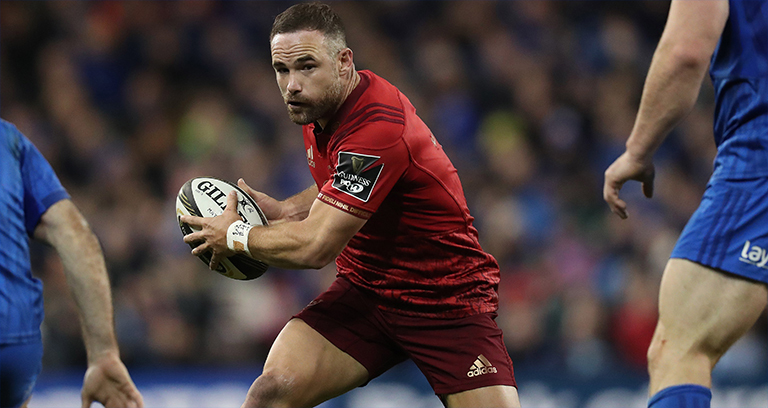 Munster Head Coach Johann van Graan has named his side for Saturday’s Guinness PRO14 clash against Dragons at Rodney Parade. There are 13 changes to the side that secured a record 18th Champions Cup quarter-final place in last week’s 9-7 win over Exeter Chiefs. Tyler Bleyendaal captains the team from inside centre with fullback Mike Haley and lock Jean Kleyn the only starters from the Exeter clash to keep their places. Darren Sweetnam and Ronan O’Mahony are named on the wings with Bleyendaal and Dan Goggin forming the centre partnership. Alby Mathewson and Bill Johnston are named in the half-backs. Jeremy Loughman, Rhys Marshall and Stephen Archer pack down in the front row with Archer making his 180th appearance for the province. Kleyn and Billy Holland start in the engine room with a back row of Fineen Wycherley, Conor Oliver and Arno Botha completing the side. 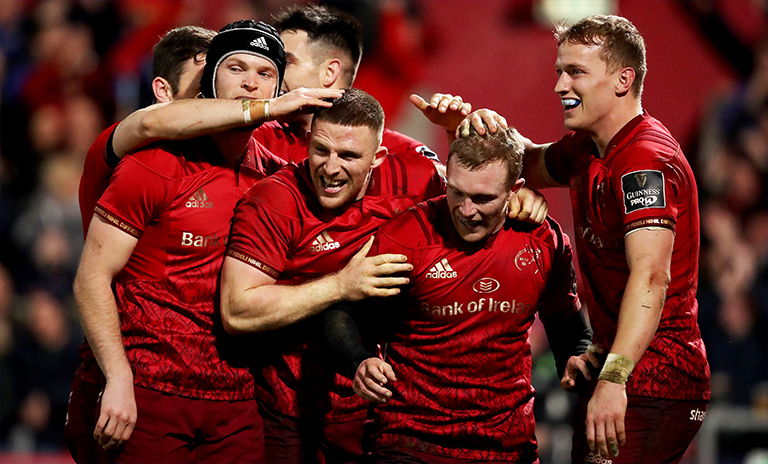 Munster: Mike Haley; Darren Sweetnam, Dan Goggin, Tyler Bleyendaal (C), Ronan O’Mahony; Bill Johnston, Alby Mathewson; Jeremy Loughman, Rhys Marshall, Stephen Archer; Jean Kleyn, Billy Holland; Fineen Wycherley, Conor Oliver, Arno Botha. Replacements: Kevin O’Byrne, Liam O’Connor, Ciaran Parker, Darren O’Shea, Gavin Coombes, Neil Cronin, Calvin Nash, Jaco Taute.